An easy piece to add to any room is a round accent table (or stool, or ottoman). The curved shape helps soften the hard angles that architecture and furniture often bring. 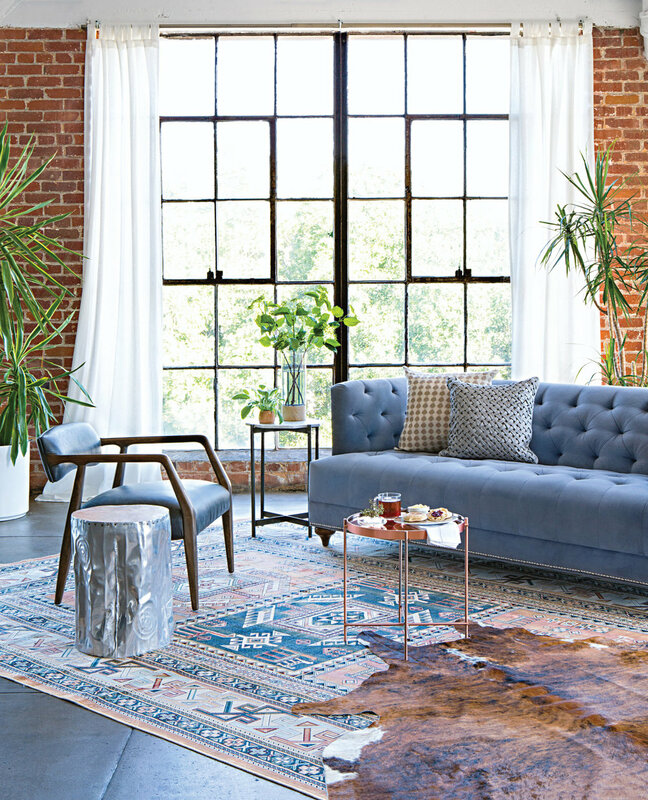 Accent tables can be used as side tables, coffee tables, nightstands, and even additional seating if the structure allows. 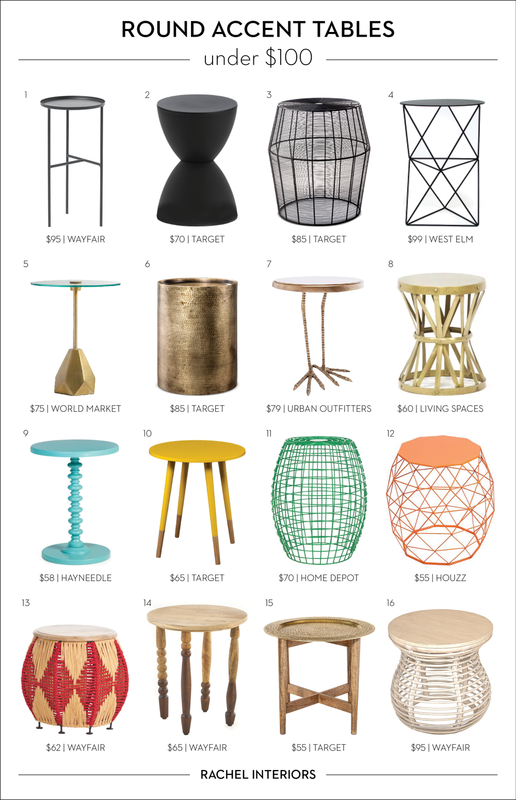 I've rounded up a few of my favorite round accent tables under $100 for the bold, chic, fun, and eclectic individuals, whichever suits your personal style and space.